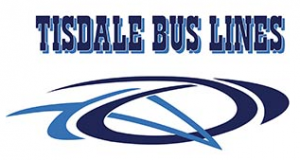 Congratulations to the Bantam Bulldogs who fought a tough opponent after an early 5:30 am start to the day on the bus. 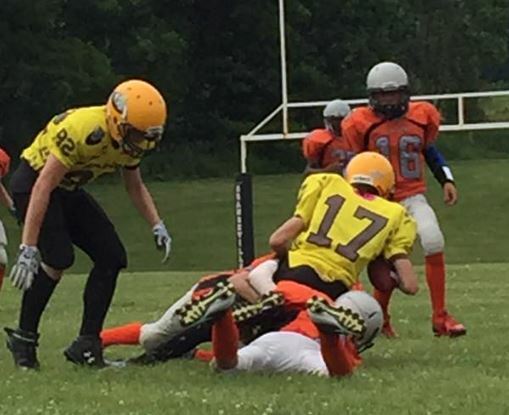 Our Bulldogs took it to the Outlaws with relentless offence and a punishing defense that all but stifled the Orangeville running game. In the first half the Bulldogs took the lead 7-0. In the second half the Outlaws couldn’t stop the grinding running game and deep in the third quarter the Bulldogs drove home another touchdown. 13 -0. The Outlaws, not to be denied, came back with their throwing attack to scored a touch down and conversion. 13 – 8. From that point on the Outlaws quarterback would become the prey for the hungry bantam defense sacking him a number of times moving the stick back. With this win the Bantam Bulldogs look towards the TNT Express and their first playoff run.